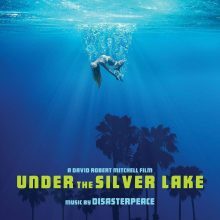 The second surprise CD that brought me back into the fold of soundtrack reviewing was Disasterpeace’s score for David Robert Mitchell’s latest film, Under the Silver Lake. 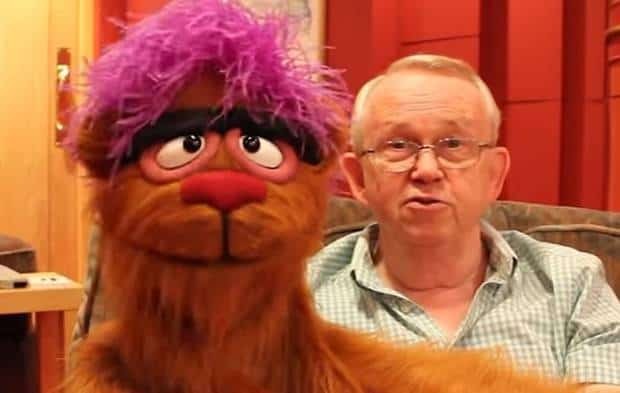 Mitchell’s previous film was the sleeper hit (at least with the critics), It Follows. I liked that quite a lot and particularly loved its synthy soundtrack, also by Disasterpeace, which was heavily influenced by Giallo scores and the work of John Carpenter. I’d previously been a fan of Disasterpeace’s video game scores and chiptune albums, so it was great to see him seamlessly move into the world of film soundtracks. Soon after hitting play I realised the Under the Silver Lake soundtrack is quite markedly different from Disasterpeace’s It Follows and game soundtracks though, as it’s largely a classic orchestral score. In fact, there’s quite a Bernard Herrmann influence on a number of the tracks. Overall though, it contains quite an unusual mix of styles subtly blended together and works a charm. On top of horror cues, hints of Disasterpeace’s video game work and some more modern, unusual twists, there are quite a few film noir influences, which I presume fits the film itself by the sounds of its IMDB synopsis. I haven’t seen it to properly comment on the soundtrack’s integration I’m afraid as it hasn’t been released in the UK yet. Running through some of the many tracks on this lengthy 2-disc album, ‘A Junction’ has a beautiful lilting quality to it before edging into darkness as it moves on. ‘Dependable as Moonshine’ has hints of Disasterpeace’s synth work, but also teases a stereotypical, almost comical noir woodwind line lurking in the background. This jazzy style pops up in other tracks too, such as ‘Beware the Dog Killer’. There are a few non-score tracks on the album too, including ‘Turning Teeth’ by Jesus and the Brides of Dracula. This alt-rock/indie track didn’t do much for me I’m afraid, particularly as it stands out like a sore thumb where it’s set amongst the orchestral tracks. ‘To Sir, With Love’, a melancholic ballad by Meek Bride and Her Band, has a nice string arrangement to help better integrate it, but the lyrics and vocals were a little weak. A couple of REM tracks, including the classic ‘What’s the Frequency, Kenneth?’ are more welcome, as is ‘Never My Love’ by The Association. This is a cool slice of dreamy 60s pop that fits the mood better than the ‘Turning Teeth’ track. It’s nice to hear a rarer 60s pop song like this appearing on a soundtrack too rather than the usual suspects we’ve heard a hundred times before. Going back to the score, ‘Welcome to Purgatory’ is a playful waltz that turns dark half-way through. ‘Dracula’s Code’ is faster paced and more exciting that some of the other tracks, although still has a sense of mystery. ‘An Excursion in Griffith Park’ contains some definite nods to his video game music, which is nice to hear. Then ‘Through the Looking-Tubes’ gives off a true horror vibe. There’s a nicely varied use of strings here too. ‘A Dead Carrier of Dreams’ is another horror cue, with a surrealistic edge, due to some eerie wordless voices drifting in. ‘The Centerfold’ is another dramatic and exciting cue, although once again it mellows as it goes on. ‘Jefferson’s Legend’ sees some more video game synths sneak in here in a pacy, fun but still mysterious track. Coming towards the end, ‘Make the Best of It’ is more hopeful and warm than the rest of the tracks and ‘Hills of Gold’ is an odd sound-piece which ends with a whistle. Capping things off is ‘Inconclusion’, a short but rousing finale to the score elements, before REM kick in at the end. All in all then, this is an unusual but captivating soundtrack that throws in a range of influences without sounding like a mess. Hopefully this bodes well for the film, although early reviews have been mixed.